Figure 2.21 Newfoundland shifted from British sterling. which linked it more closely to West Indian currencies, to the North American dollars and cents. Its economy continued to rely heavily on the cod fishery. The decision of Newfoundland to stay out of Confederation in the 1869 election was different in tone from PEI’s brief demur. The Islanders were preoccupied with land issues — bound up in what was called the Escheat Movement — and Canada offered little in the way of solutions. Four years later, PEI was heavily in debt from a calamitous railway-building exercise and only slightly closer to settling the tenant-landlord issue; Canada now came forward with a solution to both problems, and PEI’s disinterest was quickly reversed. By contrast, Newfoundlanders rebuffed the Canadian project entirely. Canada’s political issues – the stalemate in Parliament, the need to expand westward for more farmland, language and religion, and fear of an American or Fenian invasion — were not just uninteresting to Newfoundlanders, these issues appalled them. Canada was not a place you should run to, it was a place you should run from. The depth of Newfoundland feeling on this score was tested repeatedly: the colony had to face down the sort of debt that turned Islanders’ heads, international diplomacy and threats to security, and divisive internal debates over imperial-versus-colonial loyalties. Newfoundlanders, however, resisted the temptation to join the colonial alliance on the mainland. By the late 1860s, Newfoundland was made up of several parts. The apparent unity of the economy — based heavily on fisheries (in which every outport, St. John’s included, participated) and timber — was not enough to ensure social or political harmony. There were essentially three regions to Newfoundland: Labrador on the mainland, the French (or West) Shore, and the rest. In addition, the English-speaking part of the colony was divided between Protestants (mostly Anglicans and Methodists, but also including Congregationalists and Presbyterians) and Catholics (overwhelmingly Irish). Labrador was sparsely settled by Europeans and was principally home to Inuit and Innu (aka: Naskapi and Montagnais), many of whom were being missionized by the Moravian Brethren who had no presence on Newfoundland proper. These various social divisions preoccupied local politicians and clergymen while the fisheries and seagoing trade continued to provide an irregular and unreliable income for much of the population. Self-sufficiency in the outports was challenged by a volatile marketplace for Newfoundland’s exports. Continued colonial status was meant to ensure a position within British Atlantic rim commerce. It did not always do so. Nor would the cod fishery or the whale pods always cooperate. Unemployment stalked the villages of the colony from the mid-19th century to 1914 and promoted emigration. The colony’s communities were caught in an economic trap: large numbers of personnel were needed for three to four months every year to work the fisheries effectively. During the remaining eight to nine months, most were surplus to requirements. Seasonally, and notwithstanding pack ice and absent fish, there was work for all. Beyond that, however, there was hardship. Scaling back the population overall would mean depleting the fisheries of its essential labour force. Providing relief of some kind — which the state and the churches did for years — only encouraged too many people to stay and face cyclical underemployment. It was for these reasons — unreliable cod behaviour, a narrow window for economic activity, and potentially appalling North Atlantic weather — that Newfoundlanders pursued a variety of economic alternatives, and did so aggressively. Mining the sea for codfish was a way of doing more of the same and with greater intensity. This strategy predictably produced gluts on the market and falling prices. Another response was to attack the seal nurseries and build an export economy there as well. Other fish types and lobsters were added as a way to break out of the monoculture staple economy of cod. 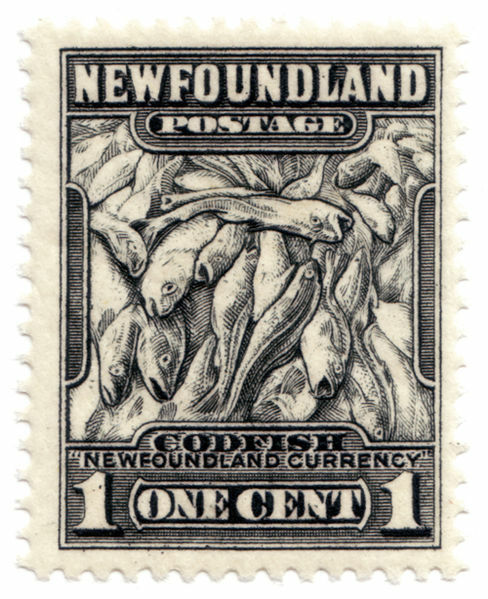 Improvements in fish product processing were pursued in the 1880s and 1890s, as were a succession of trade treaties with the United States that would allow Newfoundland products freer entry into the American marketplace. The engagement of the churches with economic and political issues manifested itself in a variety of ways. Unemployment was a parish and congregation matter as well as a state matter. Political parties in the 1860s, with a few exceptions, identified with Protestant or Catholic interests in a manner that was inevitably divisive. Although this feature of Newfoundland politics lost its sharp edge in the 1870s, it did not go away. The Harbour Grace Affray of 1883 saw Orange Lodge Protestants and Catholic neighbours come to blows. Guns were fired, and five men (four Protestants and one Catholic) were killed, and more than a dozen wounded. The trials and debates that followed served to deepen sectarian division across the floor of the Legislature and the colony. Fears grew that Harbour Grace would be followed by larger and widespread acts of sectarian violence. In this context, the accomplishments of Newfoundland’s leadership in the field of education is almost astonishing. Uniquely, Newfoundland committed to a denominational education system beginning in 1876. Isolated ports might have one, two, or even three denominations, each of which demanded recognition and funding for a school. Administering them from St. John’s would be highly problematic and expensive, so authority devolved to denominational school boards at the local level. This, too, was unique. Funding was provided on a per capita basis, which set up some local competition between the religious communities. By the 1890s, a secondary school system was emerging that was coordinated from the colonial capital and included a shared curriculum. Common exams ensured that outcomes were comparable (if not always equal) across denominations. Figure 2.22 A circa 1883 depiction of the Newfoundland seal hunt. Source: J.Haton & M. Harvey, Newfoundland, the Oldest British Colony (1883). Perhaps more than most colonies, Newfoundland was regularly rocked by catastrophes. Many of these arose from a combination of weather and the local economy’s dependence on resources drawn from the sea. Storms battered outports, ice packs teeming with seals promised some wealth and invited disaster, and whole fleets could be lost at sea. St. John’s — one of the busiest of the Atlantic ports — was always vulnerable to epidemic diseases. 1892 and 1893 witnessed a mix of bad news that included diphtheria, the razing of St. John’s by fire which left 12,000 homeless, and the loss of two dozen Trinity Bay sealers on the ice. In 1894, the two commercial banks in Newfoundland collapsed. These bankruptcies left a vacuum that was subsequently filled by Canadian chartered banks, a change that subordinated Newfoundland to Canadian monetary policies. While the fisheries regularly claimed lives it was the seal hunt that would continue to serve up death on a large scale: 48 more sealers would perish of exposure in 1898, and in 1914, 78 more died of exposure and drowning. 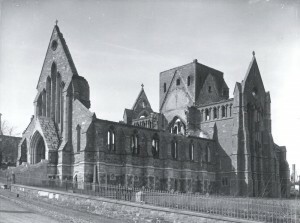 Figure 2.23 The shell of St. John’s Anglican Cathedral after the 1892 fire. Economic and foreign relations crises, too, seemed to roll across the colony on a regular basis. These were addressed in very different ways. As with the CPR, massive land grants were given to the contractor to subsidize the expense of construction. Even so, thanks to the railway, by 1896 St. John’s was $9 million in debt. The colonial regime teetered on the brink of bankruptcy and was only pulled back by a further and rather desperate deal with the railway contractor and operator, Robert Gillespie Reid (1842-1908). Even the British government felt that Newfoundland was selling off the proverbial silverware to achieve some stability. The end result, however, was a line that curled from the Avalon Peninsula around the north of the colony and down the southwest coast to a terminus that connected to shipping lines to Canada. Trade between the two colonies increased but, rather than draw them closer together, it served to give Newfoundlanders sufficient confidence that they did not need to seek, at this time, economic security in Confederation. In some respects, they already had it. The Canadianization of Newfoundland’s monetary system was a significant step towards a loss of sovereignty to another colony. Figure 2.24 Newfoundland minted unique $2 gold coins until about 1888. The bank crash of 1894 resulted in hoarding of the increasingly rare coin. Newfoundland’s government pursued several and successive trade agreements with the United States. As a colony of Britain, it had to do so with the Crown’s approval — which it had. In those negotiations, however, the Dominion of Canada often played the role of the spoiler. In the late 19th century there was just enough dissatisfaction with Confederation among the Maritime provinces that Canada could scarcely afford to see independent Newfoundland set a bad example by succeeding too much. Furthermore, Ottawa had few resource responsibilities but fisheries was one of them. A coordinated fishing policy and administration, one that covered the whole of the Gulf of Saint Lawrence, only needed Newfoundland’s cooperation to be complete. The smaller colony, however, saw little advantage in that. Canadian reprisals were probably inevitable. More complex and longstanding were relations with France. Prior to 1713 and the Treaty of Utrecht, France had established robust little settlements on Newfoundland. After Utrecht, Newfoundland belonged entirely to Britain but the French were allowed exclusive use of the West Shore. Despite being prohibited from settling the French Shore, individual English, Scots, and Irish found their way into the region over the 150 years that followed Utrecht. The Treaty of Paris (1763) that ended the Seven Years’ War saw Britain make a further concession to the defeated France: exclusive title to two small islands just south of Newfoundland — St. Pierre and Miquelon. The goal of Britain throughout the 18th and the 19th century was to minimize friction with France by making a generous allowance for continuation of a historic fishing industry. That this was not in the best interest of Newfoundlanders was made increasingly clear. After achieving responsible government in 1855, colonial voices became increasingly shrill in their criticism of the French presence and the constraints it put on Newfoundlanders who worked and settled in the region. An agreement was subsequently struck between Britain and France, with grudging support from St. John’s, which allowed French activity to continue on the West Shore. Growing competition over the lobster fishery and canneries tested the modus vivendi, but Newfoundlanders gritted their teeth until 1904 when they pressed Britain to find another solution. In that year a diplomatic outcome was arrived at in the Entente Cordiale, an agreement struck between the two empires, and Newfoundland was made whole for the first time. Only St. Pierre and Miquelon remained French, as they continue to be today. In one other area Newfoundland seemed disinterested in formalizing diplomatic relations. Aboriginal populations in the colony on both sides of the Strait of Belle Isle were small but increasingly vulnerable from the 1890s on. Typhoid, measles, and influenza made inroads into the formerly isolated Inuit communities of northern Labrador as the size of the transient Newfoundland fishing fleets grew and encounters with Euro-colonists increased. Commercial and sport hunting grew in the interior of Newfoundland and in Labrador, impacting the 200 or so Mi’kmaq and the Innu respectively. There were, however, no treaties in place and nothing like Canada’s Indian Act to guide policy and behaviour. The anguish expressed earlier in the 19th century at the tragic disappearance of the Beothuk peoples was not, it seems, followed up by any measure to protect other Aboriginal communities. 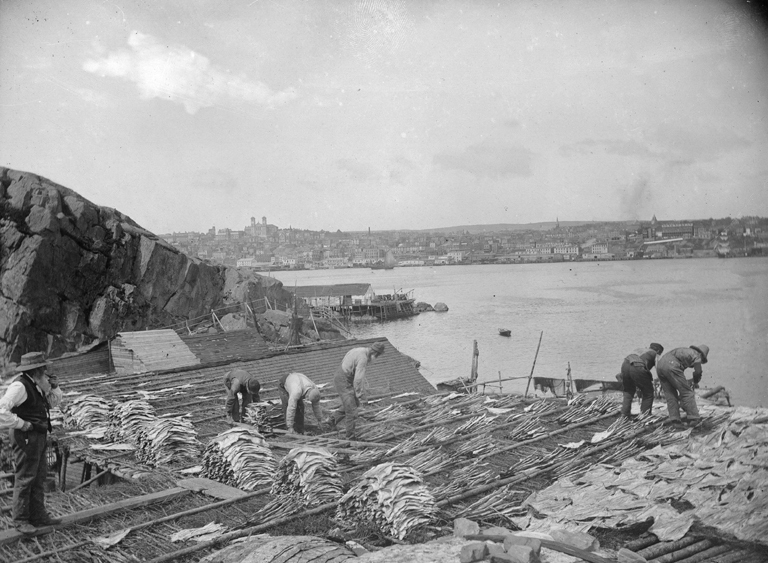 Figure 2.25 Preparing cod within sight of the St. John’s skyline, ca. 1900. In 1907, Newfoundland sent Prime Minister Robert Bond to the Imperial Conference hosted by British Prime Minister Henry Campbell-Bannerman. Representing a poor and struggling colony, Bond did his best to argue for colonial autonomy within an imperial association while avoiding commitments to expensive British military projects. (Newfoundlanders had volunteered for the British campaigns against the Boers in South Africa but the colony had not mustered a regiment, unlike Canada.) Bond carried the day and Newfoundland was recognized as a Dominion, a status that made it diplomatically equivalent to Canada, Australia, the Cape Colony (later called South Africa) and New Zealand (sometimes collectively described as the White Dominions). By this time, the population of Newfoundland was much larger than it had been 50 years earlier. It nearly doubled from 1860 to 1901, rising from 130,000 to 242,000 (of which just 3,949 were found in Labrador). Natural population increase combined with continued immigration from Ireland, Scotland, and England to push up the numbers. These numbers were kept somewhat in check by outmigration to Canada and the United States. Although Canada’s influence in Newfoundland was growing in the period before the Great War, the colony remained oriented in the opposite direction. Even Labrador seemed lost in St. John’s rear-view mirror. Were it not for the chain of little hospitals established by the English physician and missionary, Wilfred Grenfell (1865-1940), from 1893, very few services would have reached the impoverished fishing populations (transient and resident) on the mainland. In 1901 the 37-year old Italian physicist, Gugliemo Marconi, sent the first cross-Atlantic wireless message — from Signal Hill in St. John’s to Cornwall, England. It is perhaps significant that he did not attempt communication with Montreal. Newfoundland displayed little interest in joining the rest of British North America in a federation or any other kind of union. The colony consisted of three main parts: Labrador, the French Shore, and the rest of Newfoundland. Its population was deeply divided by region, ethnicity, language, and religion. The economy was based mostly on fisheries that were seasonal, as were sealing ventures, contributing to underemployment in the off-seasons. Social divisions peaked in 1883 with the Harbour Grace Affray. The colony developed a distinctive approach to education based on denominationalism. Infrastructural change and the expansion of a farming frontier were attempts to diversify the economy which met with limited success. Canadian control over the monetary affairs of the colony and Canadian interference in Newfoundland’s diplomatic channels drew the colony closer into the other Dominion’s sphere of influence. 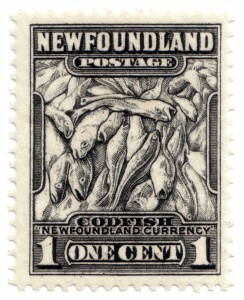 Codfish Stamp by Jcmurphy is in the public domain. 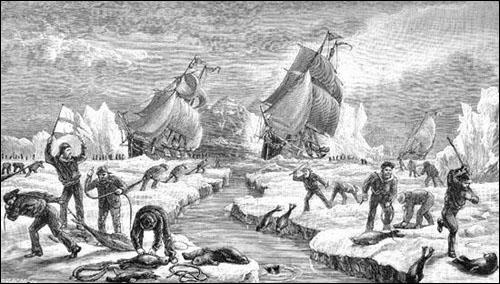 Seal hunting in Newfoundland by MatthewVanitas is in the public domain. 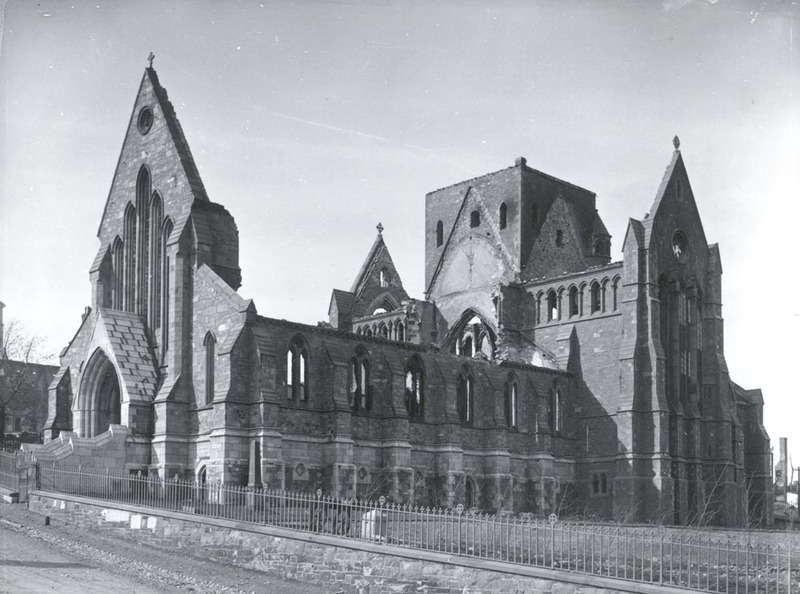 The Anglican Cathedral by Jcmurphy is in the public domain. Canada Newfoundland Victoria gold by Heritage Auctions is in the public domain. Drying codfish by Musée McCord Museum is in the public domain. This image is available from McCord Museum under the access number MP-0000.4.14. 2.13 The Other Dominion by John Douglas Belshaw is licensed under a Creative Commons Attribution 4.0 International License, except where otherwise noted.